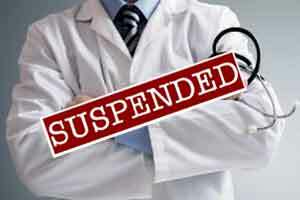 Mumbai: The Maharashtra Medical Council (MMC) recently suspended the licences of over 20 “specialists” practising in the state, including surgeons, paediatricians, radiologists and gynaecologists after the doctors were revealed to have bought fraudulent post graduate degrees for amount ranging from Rs 5 -10 lakhs. Around 80 more “specialists” are still under the scanner and are likely to face similar action. TOI reports about the matter stating that the state medical council stumbled upon the scam over a year ago, while scrutinizing documents of a candidate who had submitted a fake certificate for registration. This prompted the council to launch a statewide probe spanning over the last six months. Confirming the scam involving MBBS graduates, Dr Shivkumar Utture, president of MMC, told the daily, “We have suspended these doctors for one to five years. Some of them were new entrants and have been caught early, but there are many who have been practising with fake degrees for years. The disturbing part is they worked as specialists such as gynaecologists, surgeons, paediatricians in good hospitals”. It was found in the investigation that many MBBS graduates had submitted fake mark-sheets and degree certificates, claiming to have successfully completed their fellowship and diploma programmes from the College of Physicians and Surgeons (CPS). Further, when the degrees were double-checked with the Parel-based CPS, it was found that they never cleared their postgraduate examinations. He added that some of these doctors were also running standalone practices. Shocked by the news, Utture questioned whether the doctors pursued their courses at all or if they merely bought the passing marks and degrees. Most of the doctors who were found guilty in the scam claimed that they were victims of a “sophisticated racket”. According to them, the ‘racketeers’ preyed on minds of candidates who were grappling with exam fear. As per TOI, the only doctor to have permanently lost his licence is a paediatrician, allegedly one of the scam’s key players. He was held last year. TOI adds that the paediatrician used to call on exam and result days and used to tell the doctors that results could be manipulated. “Some were called on results day and told they had failed but if they paid, they would get a degree and mark sheets with passing numbers,” a source told the daily. MMC should ask passing certificate and I,II,III yrs PG passing certificate and mark lists and endorsed by respective university by special , separate and competent authority of university .hence forth the old cheating doctors to be found out and treated as an quacks doctors or give advertisement in news papers to submit their fakes certificate voluntarily with ones times for cancellation otherwise hard action will be taken if not submitted within declared stipulated period FIR WILL BE LODGE INDIVIDUALLY. MMC should visit at random particularly remote areas. Before the IMA Panel set in it was very pathetic show at MMC. Now a days Dermatolgy degree is also doubtful. MMC is behaving like they have done some gr8 work…. if CPS panel was sending them a list of successful degree holders….was it not the responsibility of admin of MMC to check it thoroughly per year…. ppl are going to do such frauds in our country….but what MMC was doing till now? it is regulatory body of licensing in state….they should be more watchful…..
we need clean regulatory system…..with transparent mechanism….why MMC never publish a list of license holder in the state…with their academic details…. who hold them doing such activities….